RIO DE JANEIRO (Reuters) - Petroleo Brasileiro SA (PETR4.SA) has rejected the most recent bid by an EIG Global Energy Partners-backed firm to purchase a pair of shallow-water oil clusters, two sources with direct knowledge of the matter said, potentially derailing a major divestment late in the process. Ouro Preto Oleo e Gas, a Brazilian energy firm backed by sector-focused private equity firm EIG entered exclusive talks in July with Petrobras, as the state-run oil firm is known, to purchase its Pampo and Enchova clusters. At the time, the fields, located in the Campos Basin off the coast of Rio de Janeiro, were seen fetching around $1 billion. Petrobras is cutting stakes in shallow-water fields to focus on Brazil's larger deepwater play. That is creating an opportunity for smaller oil companies and private equity firms eager to extract value from relatively mature assets. But the process has been rocky at times. For Petrobras, the collapse or delay of the Pampo and Enchova deal could hurt its bid to meet an ambitious divestment target of $26.9 billion over five years. With combined oil production of about 39,000 barrels per day, Pampo and Enchova is the largest mature production asset currently in Petrobras' divestment portfolio. 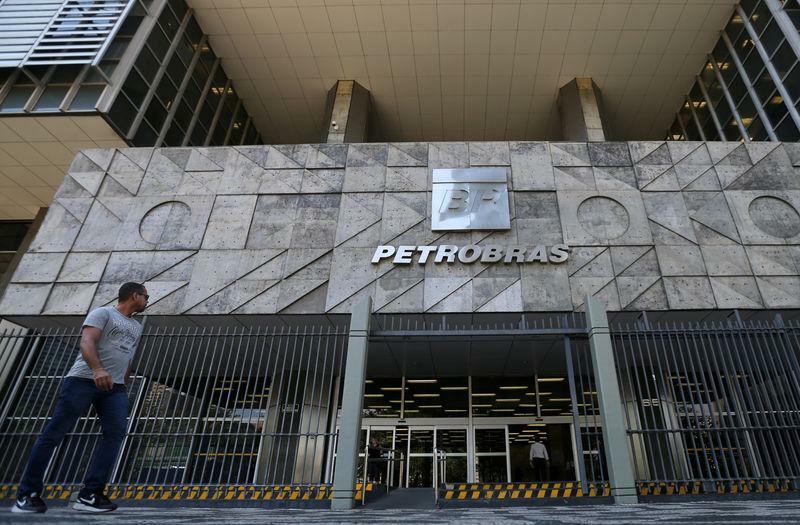 In December, Petrobras reopened bidding for the clusters, as Brazil's federal audit court, known as the TCU, requires for most Petrobras divestitures. Under the final rebidding round, investors can submit bids of varying values, so long as they have the same contractual terms as the winning bid in the original round. However, Petrobras, unhappy with Ouro Preto's price cut, has rejected the consortium's updated bid, according to the sources, who requested anonymity to discuss confidential matters. EIG and Ouro Preto declined to comment. Petrobras did not respond to a request for comment. The setback underlines the slow, at times convoluted process surrounding Petrobras' divestments, which have often frustrated potential buyers. The next steps in the Pampo and Enchova divestiture are unclear. One of the sources said the Ouro Preto consortium may try to come back to the table to resume bilateral negotiations with Petrobras. Should Petrobras re-open the process to other potential buyers or open a fresh bidding round, it could create an opportunity for firms like Trident Energy, backed by private equity firm Warburg Pincus, which had submitted an offer for Pampo and Enchova during the original bidding round in mid-2018. Trident did not respond to a request for comment.